"Give me liberty or give me death" were part of a speech that was credited as inciting the Virginia House of Burgesses to send the Virginia troops into the Revolutionary War. The speech was so inspirational that the crowds who had gathered to hear it responded by shouting back "To arms! To arms!" The speaker was so motivational, that he actually caused a large number of people to willingly enter into the war against England in order to fight for their freedom. How ignoring how Britain treated them could not be good for their country in the long run. It was their duty not only to themselves, but also to God to fight for the freedom they believed they so rightly deserved. 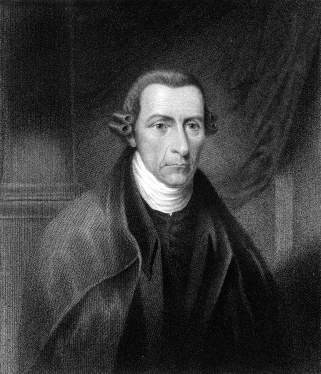 Patrick Henry had a long history of involvement in the political systems of the then British colony. Henry was an advocate for the people in the Parson's Case, in which he argued against prices paid to the clergy for tobacco. Soon after being elected to the Virginia House of Burgesses, Henry adamantly promoted the Stamp Act, a famous document that helped to protect the colonial citizens from unfair taxation by the British government. After the American Revolution, Henry continued to have a prominent role in the governmental setting. He was the first post-colonial Governor of Virginia, reigning from 1776 to 1779. He was elected to the position again from 1784 to 1786. He always acted as a radical, and he fiercely opposed the Constitution because he felt it gave too much power to the federal government and not enough to the states. Therefore, he supported the Bill of Rights and was an instrumental figure in the enforcement of that doctrine. Aside from the major effect of inciting Virginia into the Revolutionary War, Henry's words also have another powerful meaning. He made a very grand and intense statement, that he would rather die than not have liberty. The passion with which he crafted his speech in undeniable. While some may think that he was using "Give me liberty or give me death" as a hyperbole, the seriousness of the subject of which he spoke and the enthusiasm and fearlessness he displayed through his life for political matters show that he was quite serious in his statement. "Who Said \"Give Me Liberty or Give Me Death\"?." YourDictionary, n.d. Web. 20 April 2019. <https://quotes.yourdictionary.com/articles/who-said-give-me-liberty-or-give-me-death.html>. "Give me liberty or give me death" were part of a speech that was credited as inciting the Virginia House of Burgesses to send the Virginia troops into the Revolutionary War.The speech was so inspirational that the crowds who had gathered to hear it responded by shouting back "To arms! To arms!" The speaker was so motivational, that he actually caused a large number of people to willingly enter into the war against England in order to fight for their freedom.